Unless you have been living under a rock, you'll know that Valentine's day is coming up. 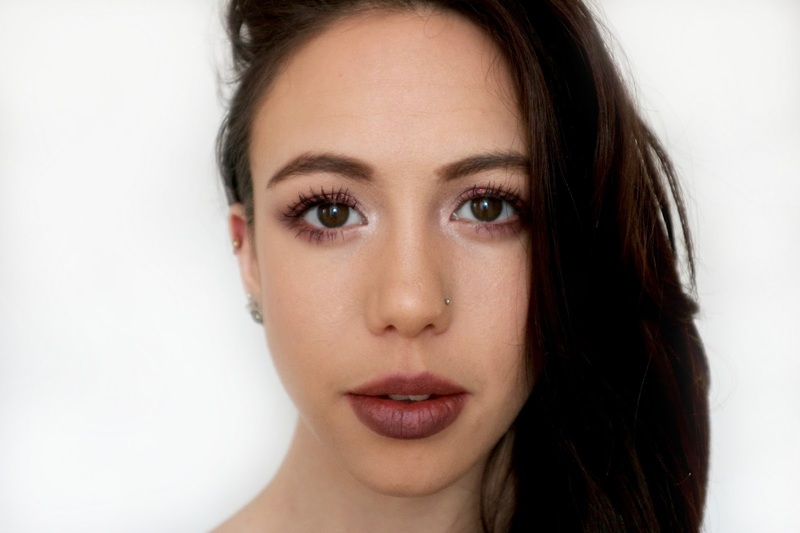 Love it or loath it there's no denying that whether you're rocking it solo or spending it with a special someone, it's the perfect excuse to go for a bit of a special make up look. I've been seeing cranberry eye looks everywhere over the past few years, and while mine isn't as dramatic as most, it still has hints of the look that keeps me hooked on YouTube tutorials. 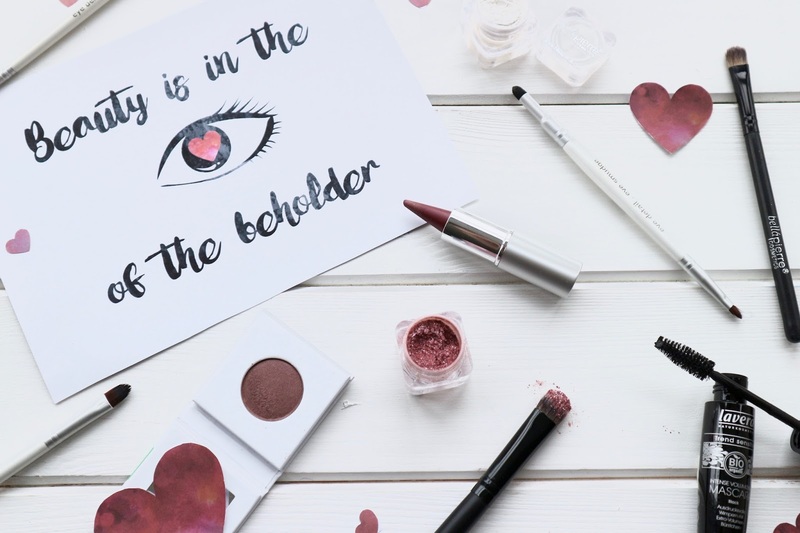 With the help of a bundle of beautiful eyeshadows and eyeliner this is my more subtle take on the cranberry eye, which is perfect for a sultry look on Valentine's day. In real life this look was a little bit more dramatic but it doesn't pick up quite as well on camera, but it still looks pretty here and you get the idea. To create this look I started with my usual BellaPierre Makeup Base, topped with a neutral matt shadow. Once I'd prepped the lid it was time to go in with the cranberry tones. 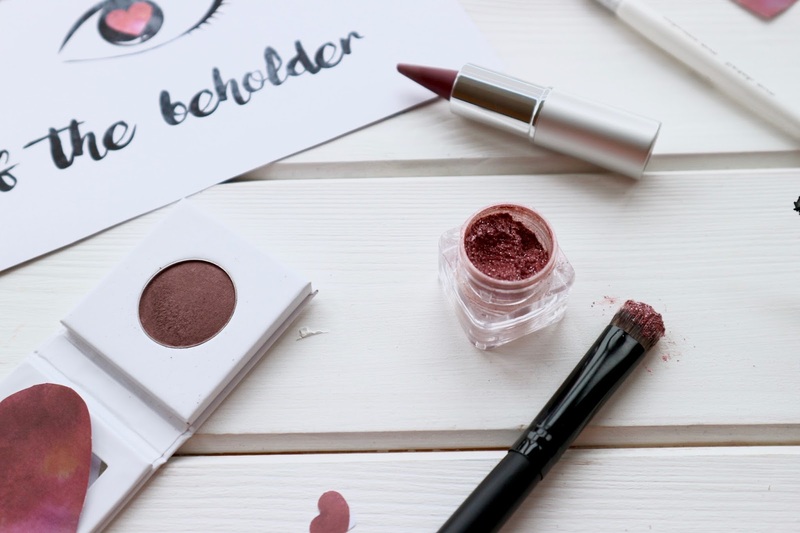 As a transition colour I started with the PHB Pressed Mineral Eyeshadow in Grape*. 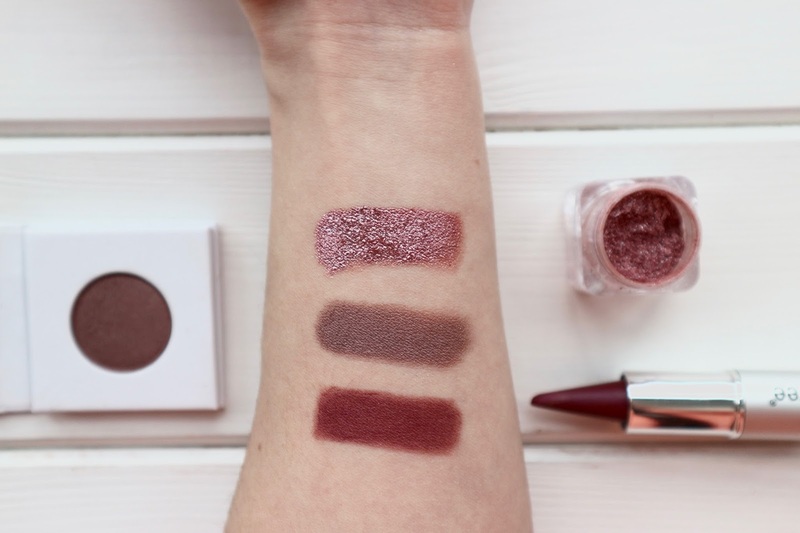 The swatches of this shadow and the colour description online made it look and sound a lot more red toned, but I actually found that in the pan and with application it was more of a cool plum toned brown (see swatches below). Nevertheless the shade is very beautiful and did work pretty well for the transition and crease shade. The colour pay off is brilliant with barely any fallout on the eyes or from the pan. The formula is a packed powder but it feels quite creamy and smooth and blends very well. I swept this three quarters of the way across the lid leaving the inner corner bare. I also connected the colour under the lower lash line. Next step to deepen the colour and add the cranberry pop I was seeking I added a strong sweep of SoulTree Kajal Eyeliner in Purple Haze* focusing heavily along the upper lash line. Again the colour name and online swatch didn't reflect the true colour of this liner. It is neither purple like the name suggests or as red as the imagery. However it is fairly cranberry in colour with a slight brown undertone and worked beautifully as the main colour. I've used SoulTree before and find the formula to be lovely and buttery without being too soft. You can blend them out but they still retain their colour pigment. Being creamy this eyeliner provided the perfect base to add the final touch to this look. The final cranberry touch was to add a little Valentine's glitter with the stunning BellaPierre loose eyeshadow in the shade Wild Lilac from the Serenity Shimmer Stack collection. I am in LOVE with this shadow. It is glorious! I firstly started with this dry but then found that adding a spritz of my current fave Skin & Tonic Rose Mist onto my brush made the shimmer apply much bolder and more dramatic. Dotted on the centre of the lid the final result is more metallic than shimmer and I couldn't love it more. To complete the look I added a pop of Snowflake from the BP Shimmer Stack to the corners of my eyes and layered up a couple of coats of Lavera Intense Volumising Mascara* in Black on my lashes. 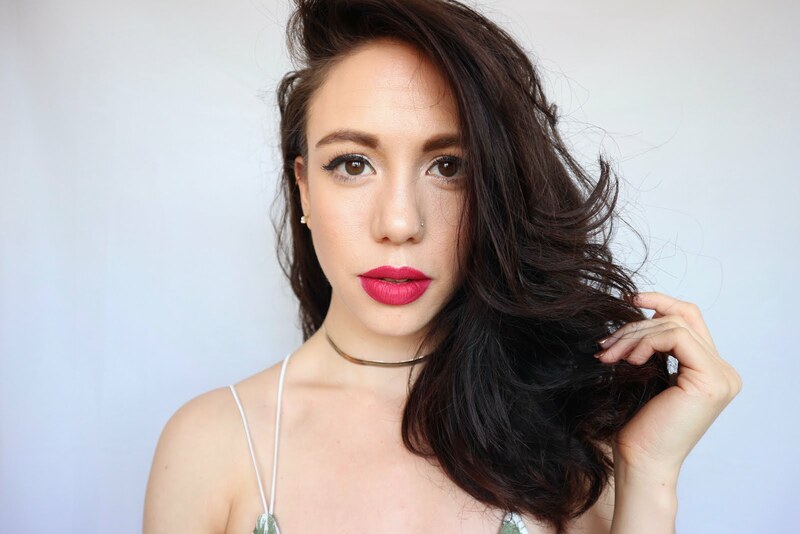 And there it is, my final cranberry Valentin'es day makeup look!